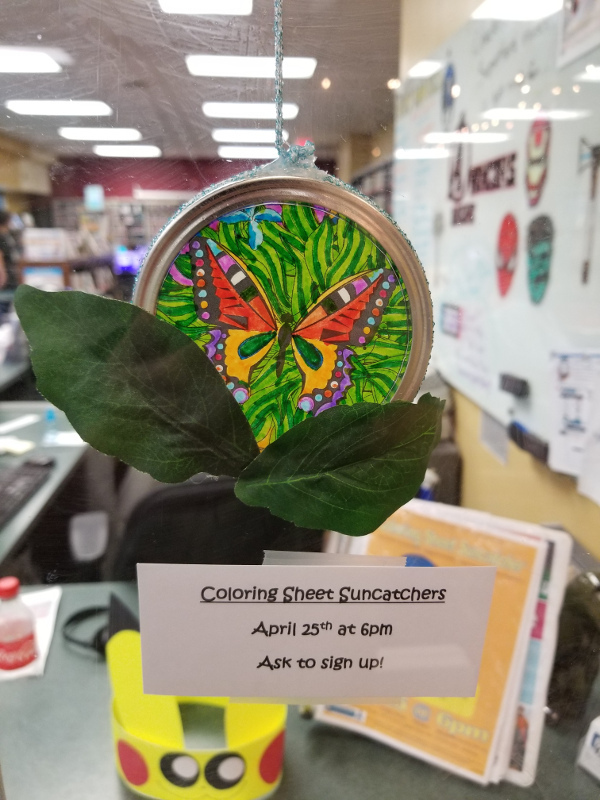 Using an lids, oil, and coloring sheets we will make a wonderful suncatcher to hang during the summer months. All ages. Due to supplies this program is limited to 15 people. To register please call 913-295-8250 and press "4" or fill out the form on this page.